The need for innovative liquid filling and packaging solutions now extends into one of the largest and fastest growing markets in the USA. Products containing CBD, medicinal components in cannabis, are quickly developing into more and more useful applications thanks to its many diverse properties. 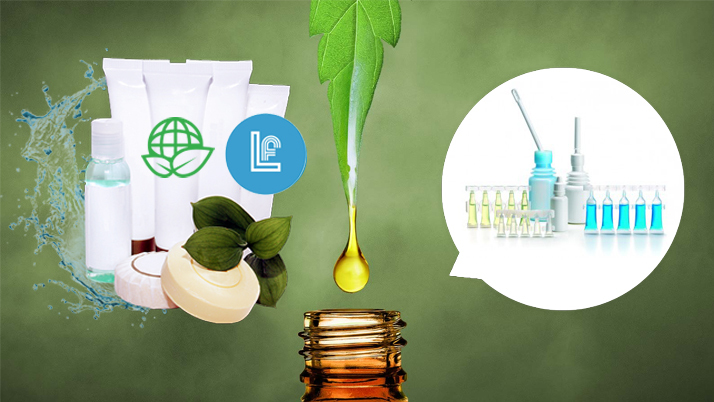 One of the prominent areas liquid filling and packaging needs are rising with persistence is the area of CBD oils and cosmetic products containing CBD elements. While the country continues to develop its outlook on the legality of the diverse properties of the cannabis plant, CBD oils remain available to markets everywhere. For this reason, LF of America is proud to be leading the installment in contract packaging and filling for CBD products and cosmetics containing CBD oil. Find out how liquid filling and packaging for CBD products can help your brand grow into a nationwide success below or contact us to request a free quote for our services. CBD, or Cannabidiol, is one of the most useful elements found in cannabis. Unlike the more widely known THC, which has psychoactive properties, CBD comes with many medicinal benefits that are not mood altering. This has allowed CBD oil to become a useful addition in many different types of cosmetics along with its own independent medicinal applications. CBD infused gels, lotions, creams, oils, and many other Health and Beauty products will all find our liquid filling and packaging services advantageous. From end-to-end, our commitment to maintaining strict regulatory standards ensures that all of our clients will know that their products retain the utmost purity. Each liquid filling contract we perform is done using advanced filling and sealing equipment within our in-house ISO-8 cleanroom. Additionally, we offer new cosmetic and CBD companies the opportunity to utilize our custom packaging manufacturing options to fully realize the vision of their brand. Unit-dose packaging, along with our multi-layer packaging options, adds superior layers of protection within a durable container that holds a precisely measured amount. The multi-layer packaging technology is responsible for protecting the integrity of the CBD extracts, which is known to diminish in strength when it is not properly stored. As such, the consumer market will know they can trust your products to retain their desirable medicinal properties. It is our mission at LF of America to give our customers the opportunity to show the world their brand is the superior choice. Given the right containers and proper handling to ensure product integrity, together we can accomplish this goal and grow your vision to the level of success you desire.